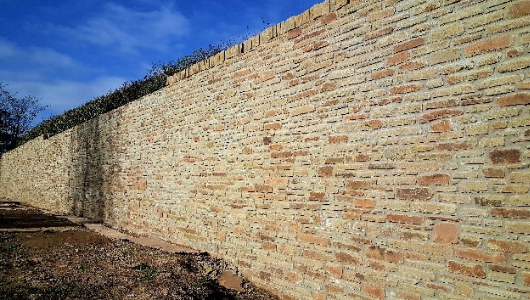 With stonework being the core of our companies’ activities, we have an expert team who specialise in the design, build and restoration of all types of stone structures across Monmouthshire, Gwent, Powys, Herefordshire and surrounding areas. From domestic private projects to large scale projects requiring specialist training and qualifications, we have the capabilities to undertake a wide and varied range of stonework contracts both large and small. 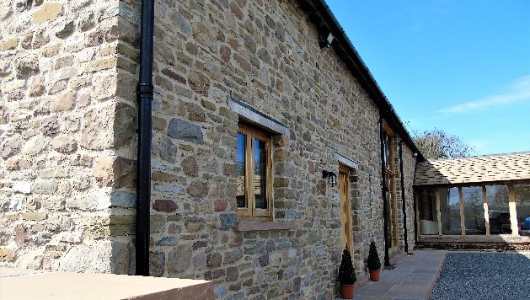 Our expert masons carried out the stonework cladding using reclaimed limestone to match the existing farm house structure on a private project in Abergavenny. 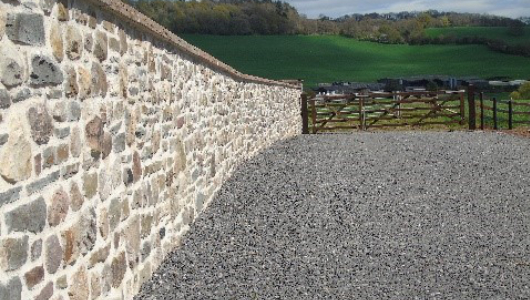 Part of a barn conversion contract, a mixture of limestone, sandstone and pennant was used to construct this large boundary wall on the outskirts of Usk, Monmouthshire. 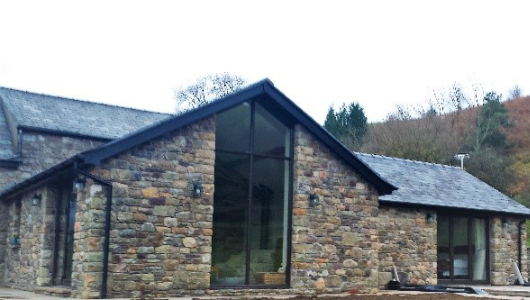 ur masonry expertise was once again called upon for this barn conversion in south Wales. Our stonemasons restored the existing walls, removing and replacing decaying stonework, as well as constructing new walls that were on the brink of collapse. 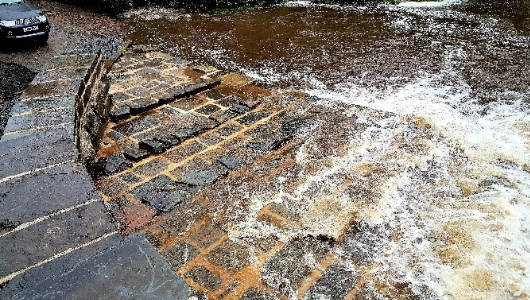 We were contracted to construct a large stone retaining wall including a stone spillway for a large civil engineering company to a reservoir between Merthyr Tydfil and the Brecon beacons. 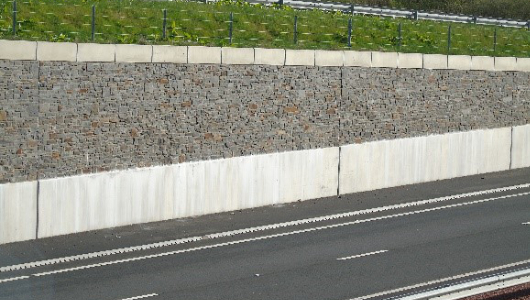 Holding specific H&S qualifications has allowed us to undertake masonry contracts on public highways throughout south Wales and southern England. 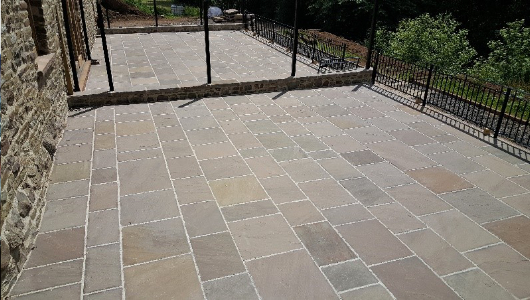 We undertake landscaping projects, particularly where stonework is a key feature such as this project that we completed on the Monmouthshire / Newport border. 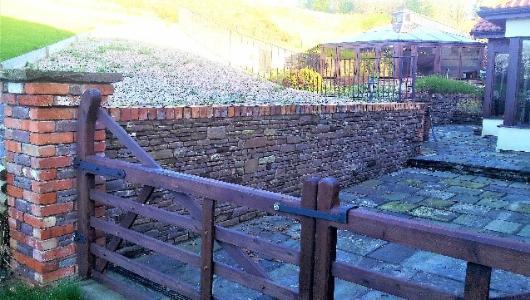 This sandstone retaining wall was constructed using 110 tons of stone for a private customer between Monmouth and Abergavenny. 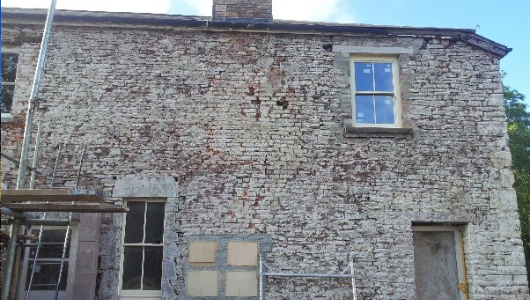 This property along the Herefordshire border was in a bad state of repair, water ingress was a major problem. Our masons cleaned the stonework and brick breast and obtained a sample of the original mortar, we then matched this and repointed the façade. 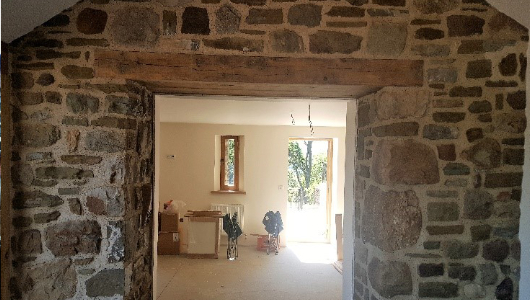 Forming new doorways doesn’t always have to be boring, our masons brought the existing stonework back to life whilst knocking this doorway through on yet another barn conversion. Our team of stonemasons hold years of experience within stone paving and patios. Whether random or coursed slabbing such as this one.